As a child, I loved to receive gifts. In such a simple time of life, a gift meant I was loved. I didn't worry about the significance or hidden message in a gift. I wasn't concerned about the "strings attached" to the gift. It was just a gift — a free expression of love I didn't deserve, given to me by someone who truly cared for me. Isn't it great to get to be God's child and receive his gift and know we can receive it as a child?! 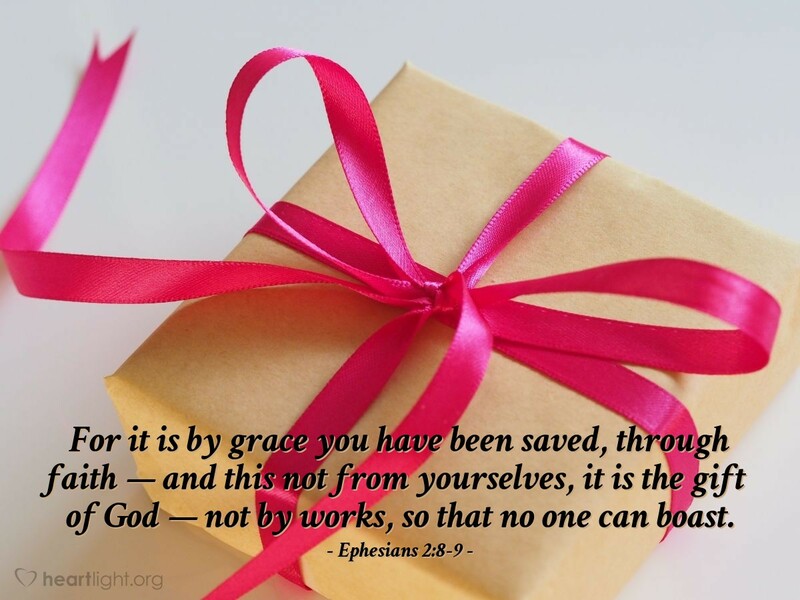 Thank you, generous Father, for the gift of grace, the gift of faith, the gift of salvation, and most of all, the gift of Jesus. I know I can never repay these gifts, but I look forward to saying "Thank you!" through my lifestyle now and I look forward to continuing to say "Thank you!" through all eternity. In Jesus' name I pray. Amen.